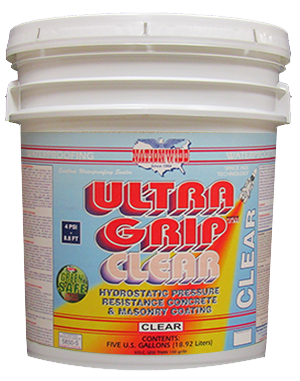 ULTRA GRIP™ CONCRETE ACCENTUATOR is a high gloss wet look sealer for clear weather proof protection on coated or uncoated concrete and masonry surfaces. Restores beauty and cleanability to uncoated concrete and to most any non-glossy latex floor coating. Provides protection against deterioration caused by de-icing salt, gasoline, oil, weathering and water. 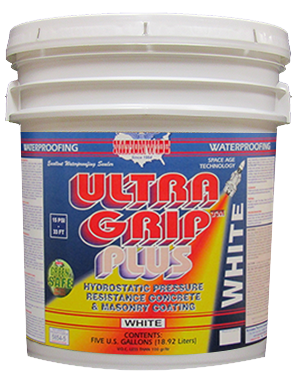 ULTRA GRIP™ CONCRETE ACCENTUATOR seals and builds to a high gloss finish on bare and previously coated masonry surfaces. 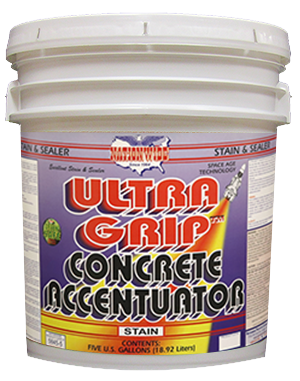 Ideal for interior and exterior horizontal masonry surfaces, including concrete driveways, garage floors, basement floors, concrete sidewalks, brick walkways, terrazzo and slate surfaces. 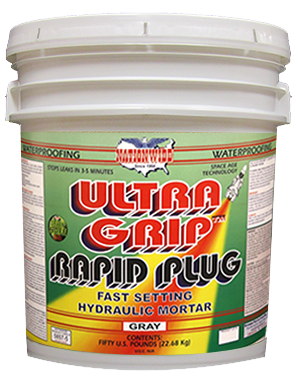 Fast setting waterproofing mortar. It sets in 3-5 minutes to stop active leaks, even under pressure. 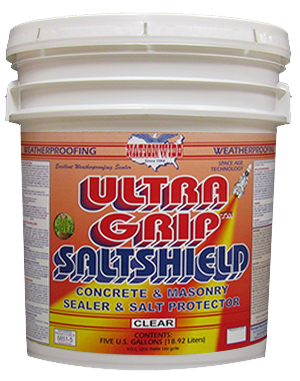 Clear Concrete Protector that Provides Weatherproofing & Protection against Road Salt, Household Cleaners, Gas, Oil & Efflorescence.